Hi, My name is Missy. 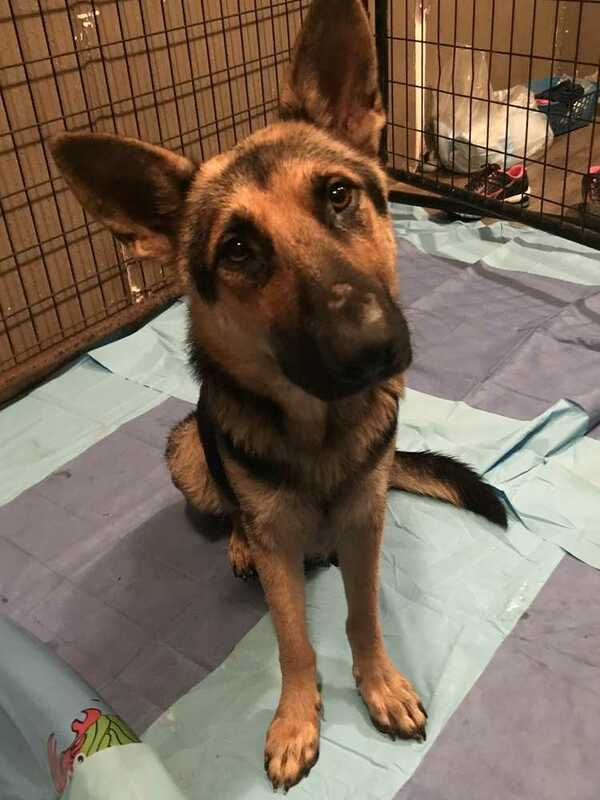 I am a 2 year old Black and Tan German Shepherd Dog. I was rescued when my puppies and I were sitting in a cold, scary shelter. I knew it wasn't the place for them, but there was nothing I could do. Luckily my freedom ride came and here I am! I am a sweet a loving girl, a little shy when we first meet, but once we'd had our introductions, I'll nose bump you for pets! I am housebroken and walk well on a leash, I don't pull and tug. I'm kennel trained, I know how to sit and lie down, and I even let you pet me while I'm eating. I am looking for a forever home that will spoil me by: giving me a comfy place to live forever, showing me love, and telling me I'm pretty (the simple things in life...). I am up to date on vaccines, spayed/neutered, microchipped, and heartworm -----. Our adoption process begins with an Adoption Application (which you can do by clicking the blue ADOPT button above). Personal references, vet reference, and a home visit are required to complete the adoption process. Adoption fees are due at the time of adoption. Application to adopt does not guarantee adoption or approval.